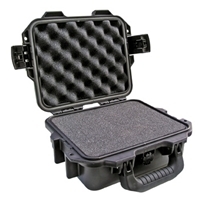 Storm iM2050 299x248x119 Weatherproof Case. The iM2050 meets airline carry-on regulations by fitting under seats and in overhead compartments. Download the iM2050 brochure here. 11.8 x 9.8 x 4.7 in.